Li Guo-ting (李國鼎) and his team, looking pretty damn snappy. “Li Kuo-ting’s name,” wrote Hong Kong economist Tony Fu-Lai Yu (余赴禮), “is well-known in Taiwan.” If this were true when Yu penned the words 10 years ago, it certainly isn’t now. Granted, as Yu points out, Li’s name (李國鼎) is enshrined in a foundation that funds scientific endeavor in Taiwan and promotes cross-Strait cooperation in science. 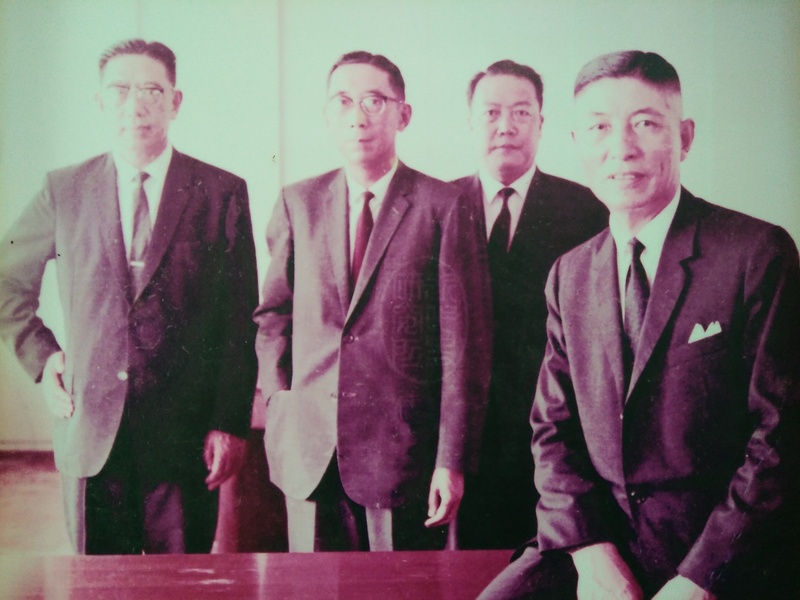 An archive at the Institute of Modern History at Taiwan’s national academy, Academia Sinica (中央研究院), is dedicated to his personal papers and photographs. Yet, less than 15 years after his death, the name of the man commonly cited as the brains behind Taiwan’s economic development, remains unfamiliar to much of the general public. Tucked down a small lane off Zhongsheng District’s (中正區) Tai’an Street (泰安街) in Taipei, Kwoh Ting-Li’s Residence (李國鼎故居) is emblematic of its former inhabitant’s relative obscurity. It is marked out on the map at the nearest metro station – Zhongxiao Fuxing (忠孝復興) – and well signposted, but it’s not the kind of place you’d be likely to stumble upon by chance. Read the full article here at the News Lens. Interesting read JB, but surprised you passed up the chance to have more of dig at Peanut & Co.